Just looking to get out of Marrakech for the day? We offer several options that allow you to escape the city and experience the natural wonders of Morocco. Please contact us for more information on these tours and availability. 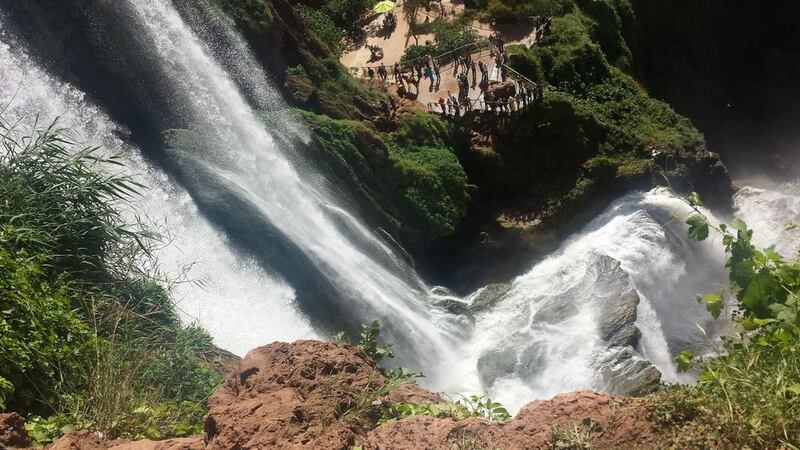 The Ouzoud Waterfalls are a natural treasure hidden in the Atlas Mountains about 190 kilometres from Marrakech. 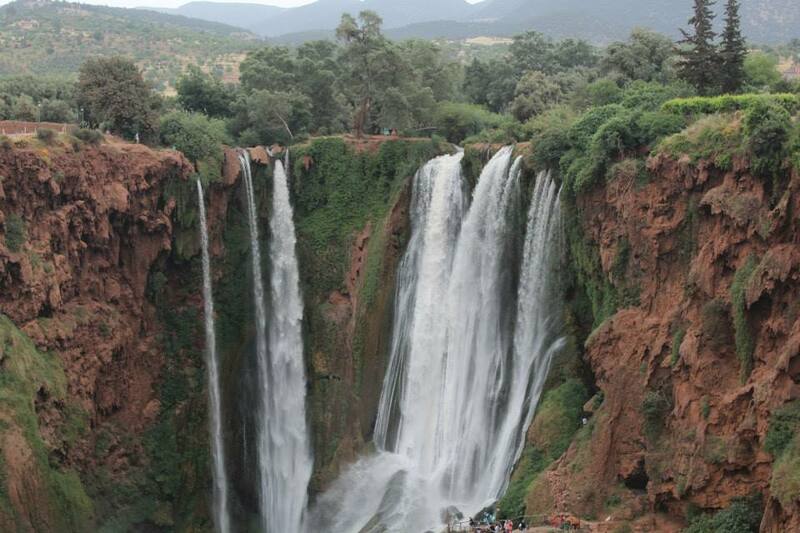 The Ouzoud Waterfalls are about 100 metres high and surrounded by lush green landscapes. 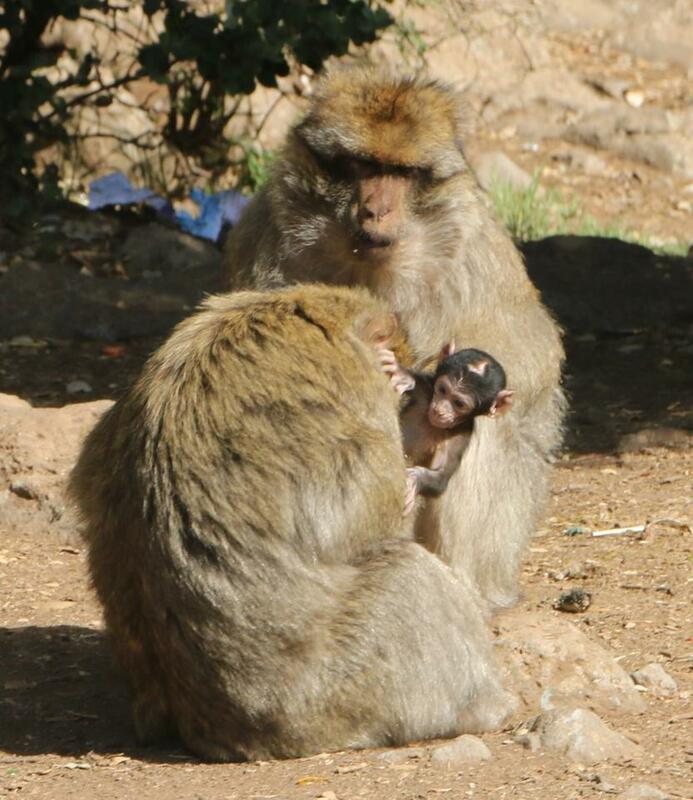 In the surrounding area you can see the old Berber grain mills, some still in working order, as well as families of macaques playing and eating in the trees. And you are most likely to see a beautiful rainbow caused by the water falling on the rocks. Local guide who speaks good English. Two people: 95 € per person in private tour. Four people: 65 € per person in private tour. 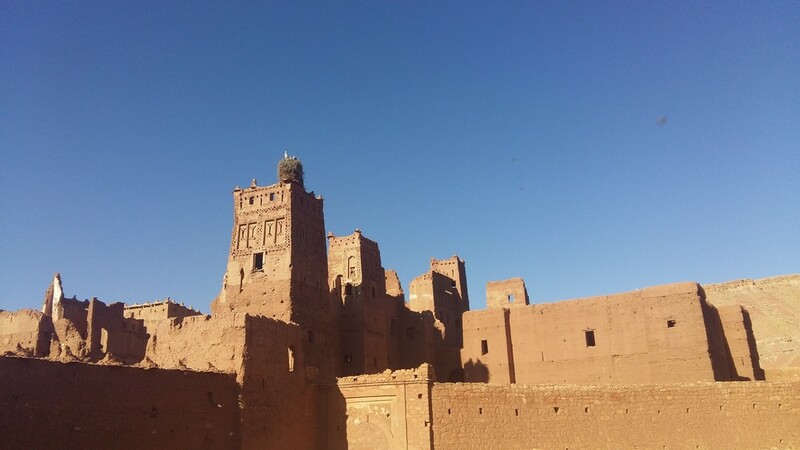 Ait Benhaddou is an ancient Berber Kasbah and UNESCO World Heritage site that is an easy day trip from Marrakech. 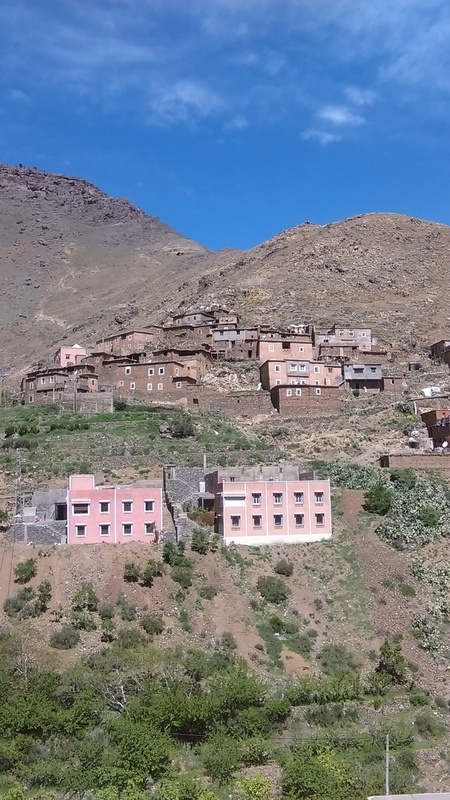 Enroute you will enjoy seeing High Atlas mountain Berber villages and while there, you will tour this caravan stop that is also the setting for several recent TV and films such as Game of Thrones, Gladiator, Marco Polo and Kingdom of Heaven. -Local guide who speaks good English. -Lunch is provided in stall at new town of Ait Ben haddou. 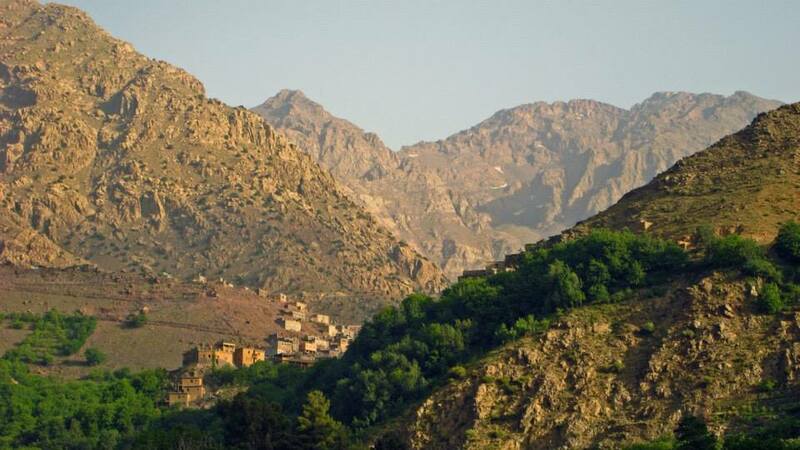 Just 64 kilometres from Marrakech below the Toubkal mountain, Imlil Valley is the starting point for many hikes and the last stop before the ascent of Toubkal. While you are there you can have nice walk via green gardens and villages of this beautiful valley and you enjoy your lunch in Berber guest house before your return to Marrakech. -Nice walk via Berber villages of the valley. Two people: 90 € per person in private tour. Four people: 60 € per person in private tour. Ourika Valley is situated about 45 kilometres from Marrakech city and is home to some of the most beautiful natural sites in the region. This valley is a popular second home for Marrakech residents looking to escape hot summer days in the city and enjoy the beauty of the mountains. 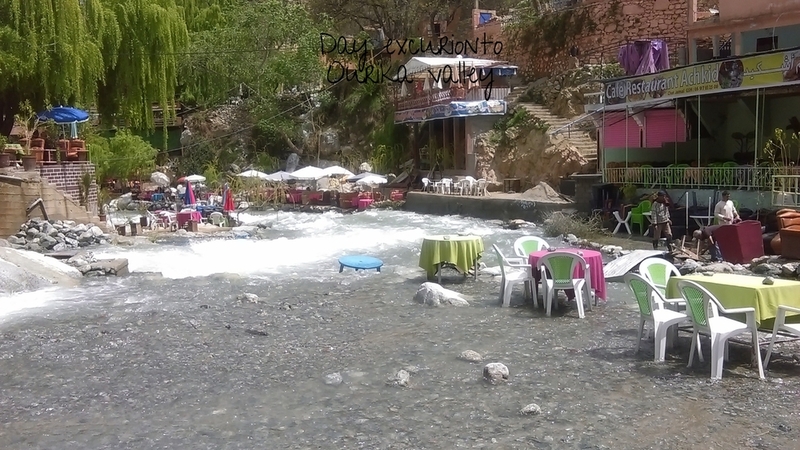 The local Berber people have created some nice stops along the river for people to enjoy the mountain breezes and soothing flow of the river. -Nice walk uphill to visit waterfalls of the valley. Two people: 85 € per person in private tour. 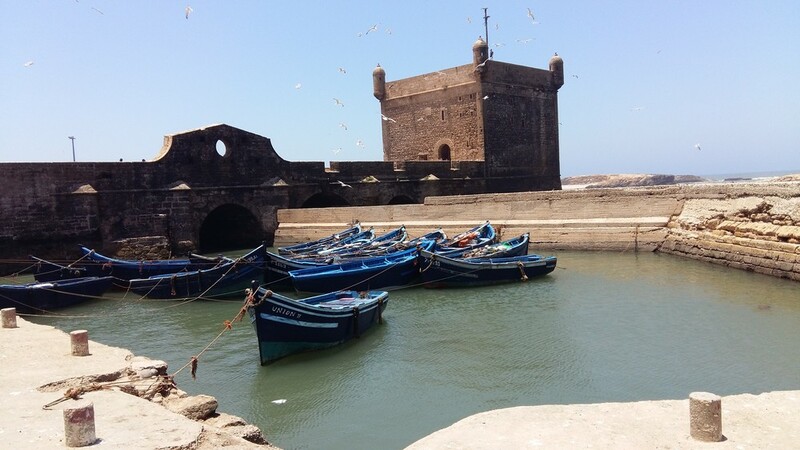 Essaouira is a charming coastal town, famous for its fishing port with its blue colored wooden boats, its medina and being one of Morocco's oldest cities. Essaouira is an accessible day trip from Marrakech, being just 176 kilometres west of Marrakech. The old Medina of Essaouira is listed by UNESCO as a World Heritage site. It's known for its Gnaoua music festival every year on June. A day spent in Essoauira can include eating fresh fish just pulled out from the water in portside restaurant, wandering around the crowded small streets of the medina, exploring the Portuguese Harbour. Often times a day visitors to Essaouira want to stay longer in this lovely relaxing medieval town. -Lunch is offered in nice restaurant specialised in seafood. 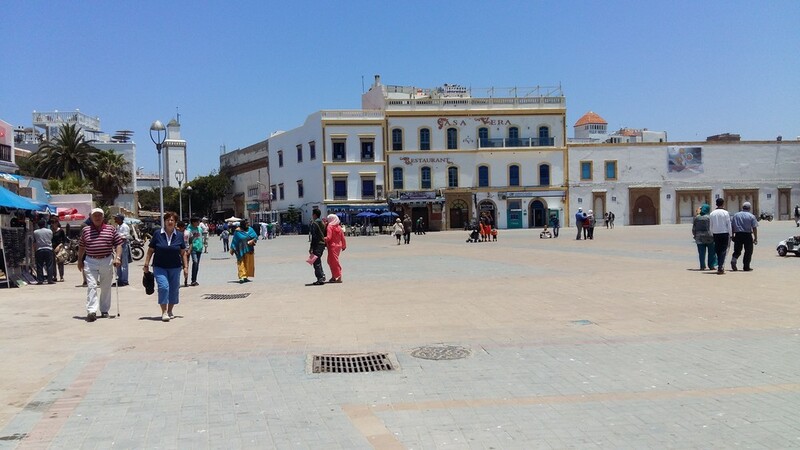 -Walking tour of the ancient city of Essaouira visiting Jewish quarter, Souks, Harbour.